Pictured from left to right are Drs. 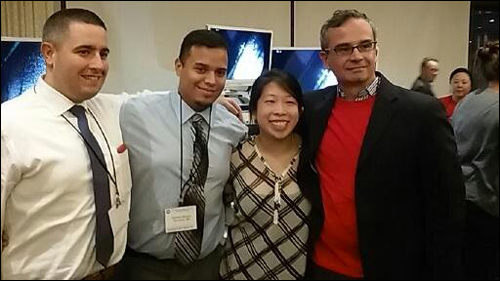 John Kelly, Samuel Vazquez, Nicole Cherng and mentor Dr. Donald Czerniach. Thank you to our industry partners at Applied Medical, Ethicon and Olympus for their in-kind equipment support of the Top Gun Competition. Pictured from left to right: Drs. 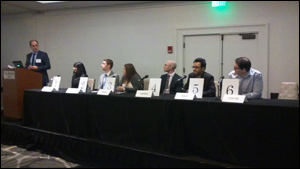 George Velmahos, Ruchi Thanawala of Baystate Medical Center, Ryan Macht of Boston Medical Center, Sarah Meade of Lahey Hospital & Medical Center, David Harris of Brigham and Women's Hospital, Jigesh Shah of St. Elizabeth's Hospital, and Brandon Colvin of UMass Memorial Medical Center. Pictured from left to right: Dr. Peter S. Hopewood, ACS Committee on Cancer Liaison; recipients Drs. 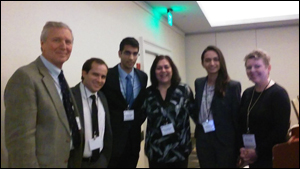 Gabriel J. Ramos-Gonzalez of Boston Children's Hospital, Praveen Sridhar of Boston University, Abha Aggarwal of Brigham and Women's Hospital, and Mallika Gopal of Boston University School of Medicine; and Dr. Anne C. Larkin, Chapter President. Malpractice Claims after Cholecystectomy: What Factors are Associated with Plaintiff Payout?